After nearly 24 hours of combined flight and transit time we finally landed in Jakarta Indonesia to officially kick off our Sabbatical 2.0. We couldn’t be more excited or happier. 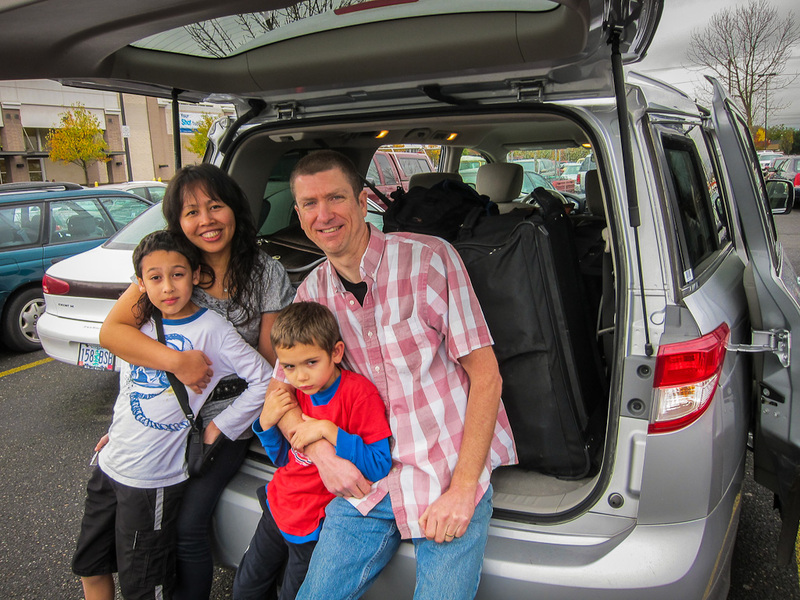 Our sabbatical started with a road trip to Seattle in a rented mini-van also known as the “Swagger Wagon”. After stopping off at my Mom’s house in Bremerton for a quick dinner we drove to SeaTac, dropped off the rental car and checked our luggage at the EVA Air ticket counter. Then the waiting game began. After a brief layover in Taipei after an 11 hour flight we landed in Jakarta and were greeted by family and hot humid weather. It feels so good after all the planning, setbacks, regrouping and sacrifice to be sitting here in Bandung. I’ll be honest with you, the 48 hours leading up to our departure wasn’t easy. I had a lot of mixed feelings going on inside my head. I was excited about the sabbatical journey but I was also filled with a lot of anxiety and worry. It seems strange that these two seemingly opposite ends of the emotional spectrum would play out in my mind but I think that when doing something like taking a 3 month sabbatical it’s natural to have some conflicting feelings especially in the midst of intense planning and organization. I actually had moments where I wanted to cancel it all and not go. I felt a lot of homesickness and I hadn’t even left home yet. In the week leading up to our sabbatical I would go about my regular daily activities but think to myself; “This will be the last time I will do this or awhile.” It was rough and I didn’t respond well to the pressure and became a bit withdrawn at a time when my communication with my wife and family needed to be strong and unwavering. We had dinner at my Mom’s before we departed to the airport and I just wasn’t myself. I was trapped in a whirlwind of emotions and there was nothing I could do but just hang on for the wild ride. It wasn’t until after we lifted off from Seattle and the reality that we were now on our way hit me that the old feeling of International travel slapped me across the face. This is exactly what my good pal Mark Powers said would happen. Here we are at the very beginning of our sabbatical heading to Seattle. 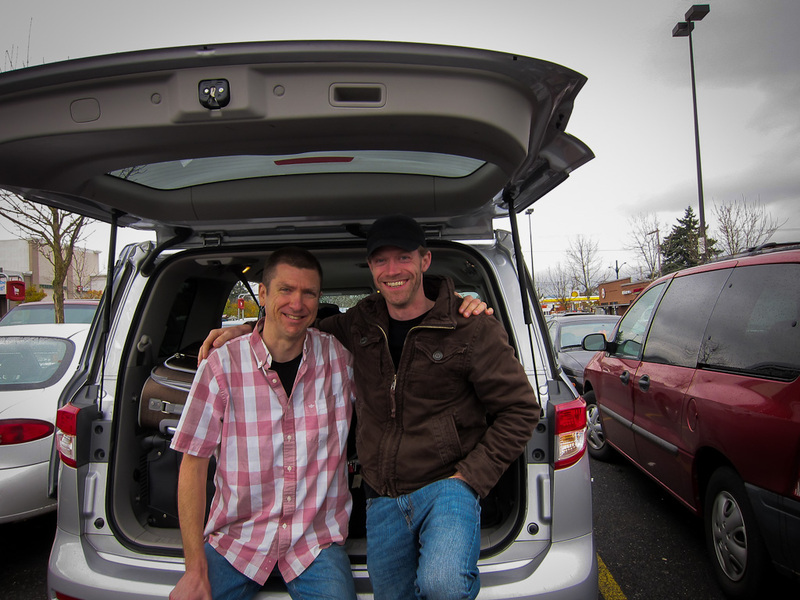 My good pal Mark Powers who met us in Portland as we made our way to Seattle. I remember that same feeling back in 2001 when I first went to Indonesia to get married, and again in 2005 when we last spent 2 months here. It’s a feeling that I find hard to describe so the best I can do is say it’s an overwhelming feeling of anticipation of experiences in a world that is far larger and more diverse than we realize. Flying at 38K feet over the earth and watching the flight compass on the screen in the seat in front of me I felt the excitement building. I had this sense of pride at everything we had done to reach this point. The planning, sacrifices, financial saving, the fights and arguments, the disappointments. But we persevered. We did it! We will be spending the next few weeks settling in and getting acclimated to everything here before embarking on a few big adventures. I’ll be working on a more in depth budgeting spreadsheet on the real cost of living here in Indonesia. I’ll be sharing our experiences as well as tips for your own sabbatical. And of course I will be taking lots of photos along the way. 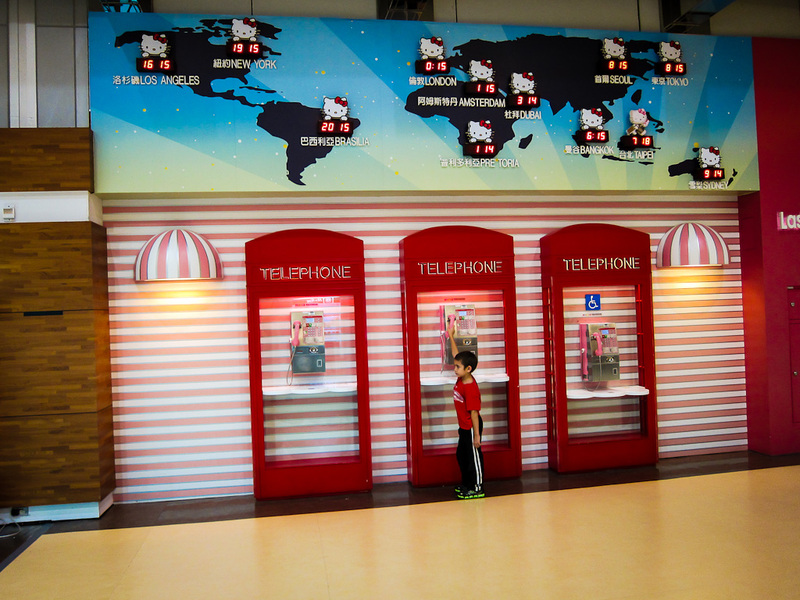 My son wanted to talk on the pretty phones in the Taipei airport during our transit to Indonesia. I’ll end this post with a few thoughts. To have great experiences in life you have to be able to break through the barriers that may be holding you back. In my case they were mainly inhibitions of my own mind. The way we think can really be detrimental to our life experiences if we find ourselves unable to break free from self defeating thinking. Had I given in to all the thoughts bombarding my emotions in the weeks leading up to our departure I wouldn’t be writing this from Indonesia while listening to the falling rain from passing thunderstorms. Instead I’d be living my same tired routine, doing the same things and wondering what life could have been like had I gone on that sabbatical. If you have a dream spend time planning how to make that dream happen, then spend more time putting in place specific actionable steps to reach that dream and finally realize that your own thoughts and emotions may attempt to sabotage you and keep you from final implementation. I know it can seem difficult but break free of those fears and do it anyway. You will thank yourself forever. Matt, fantastic article that really connected with me. I know those emotions – the full range – only too well. 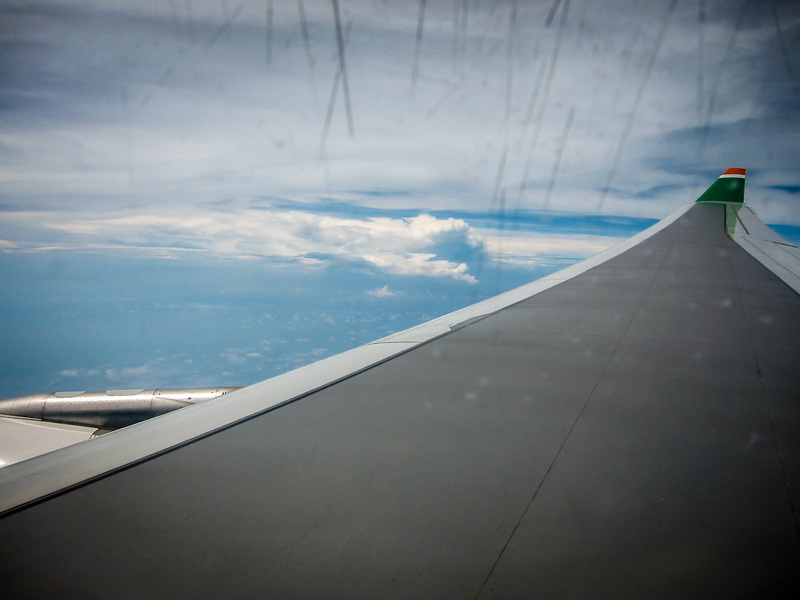 I’m not sure it gets any easier over time – I’ve taken a few sabbaticals over the years and I still struggle with the feelings of fear, the possibilities of feeling lonely, and homesickness – once I’m on the plane those thoughts seem to magically disappear. I’m going through it all again big time – torn between sticking it out at work for another year, or just hopping on a plane in the Spring – we’ll see what happens. Good luck with your latest sabbatical – I’m sure you will have a fantastic time! Hey Tony! Thanks so much for your comments and insight. It does indeed seem like there are many parallels between our stories. I had such intense feelings of homesickness in the days and hours leading up to our departure so it’s ironic that in the two days we’ve been here so far I have not experienced any moments of feeling homesick. I hope that you get everything figured out and that your next sabbatical comes at just the perfect time for you. AAAHHH!!! You’re finally there!!! I’m so happy for you that you kept pushing yourself to follow through with your plans and your dream of taking a sabbatical to Indonesia. I can understand being nervous and having second thoughts, I think that’s normal. I was a wreck before I left for my RTW trip last year. You’ll have a great time there! Ali recently posted..Are You Afraid to Travel Alone? Thanks Ali! I’m so glad that we persevered and didn’t give up as we are having an incredible time and experience. The kids are loving it. In fact my son is writing his own blog now at http://www.myindonesiatrip.com. I wouldn’t be able to live with myself had we not done this. All the hard work and sacrifice is paying off. So good to hear from you! Welcome to Indonesia again! Hope you and your family will have wonderful times ahead! I myself am planning for a six-month sabbatical in two years’ time and somehow I feel like there will be a point when I will have those mixed emotions. But as you said, once I get on the first flight, I wouldn’t want to stop traveling. Terima kasih Bama! So far we are having a great time even with the afternoon rains that have already soaked us once. Of course we arrived during a long holiday so Bandung traffic was really bad. Living the dream for sure right now. Stumbled across this via Sean Ogle… Very cool, congrats! I’m about to embark on my own year long sabbatical in January and like you, I’ll be setting off from my mom’s house in Bremerton… haha too funny. Hilarious!! What are the chances of two sabbaticals being launched from mom’s house in Bremerton. I hope your sabbatical will be as enriching as ours has been so far. Where will you be heading off too? I know, right? B-Town represent! I”ve been living in DC but will be returning to the NW for the holidays and then setting off on a year long climbing road trip, driving mostly around the American Southwest and West Coast to explore some of the amazing climbing destinations, national parks, and landscapes here. International would be fun, but there is still so much I’ve never seen in my own country. Best of luck on your Indonesian Adventures! Nice! I once spent 3 months traveling the southwest and spent time in Zion and Joshua Tree. I would love to travel to every national park and do some photography. So awesome, Matt! Congrats on making it happen! Thanks Jeffrey! It’s been a long time coming but we made it happen. Matt, I agree wholeheartedly with your fears and feelings in the final days before leaving. Everything just seemed so hard, and took so long. We were committed – our things in storage, people renting our house – but I really wanted to curl up in a ball and pull out. We persisted and you are right… the feeling on the plane of release and propelling forward (in reality and metaphorically) was enough to get me through the first stages. I am sure there will be more moments like this, but I wonder what I will learn from them? Hi Julia! I’m glad that you persisted. The rewards are so much greater. It’s strange, I have heard from so many people that have experienced the same thing. It’s interesting that when we near the goal we wanted so badly we get scared and feel like backing away. I’m so thankful I didn’t listen to those voices or at least let them drown out my true desires. We are now having the time of our lives! Like you said, there will most likely be more moments like that but recognizing them for what they are (distractions) we can overcome them and move forward to experience great things in life. Cheers!